In the interests of full transparency, I’ll confess that I rarely bother with masks. Don’t get me wrong. I love the idea of them: a fast fix; a dermal do-over; a panacea for all your skin woes. But I treat them like a luxury; nice-to-do IF there’s time. And, naturally, there’s rarely time. I still write about them and love trying new formulations once or twice but beyond that they tend to fall later down my to-do list, somewhere between reorganising my shoe collection and de-pilling my cashmere jumpers. However, my prejudice is somewhat challenged when I’m asked to a special pop-up Spa Session for cult Australian clay mask brand Minenssey. The invitation is from the brand’s founder Cheryl Ross – a beauty industry veteran and cosmetic formulator for over 15 years. I schedule it in promptly, eager to get her take on my Great Masking Conundrum. Arriving at Two Birds Talking PR Agency HQ in Redfern, I’m feeling the pinch of an impending overseas trip and my skin is showing the signs. I’ve barely slept in days and the dark triangles under my eyes are a dead giveaway. The cavernous white space of the PR office has been decked out with massage beds and flowers, and the Minenssey masks are arranged in some very ’grammable vignettes beside raw desserts and bouquets. 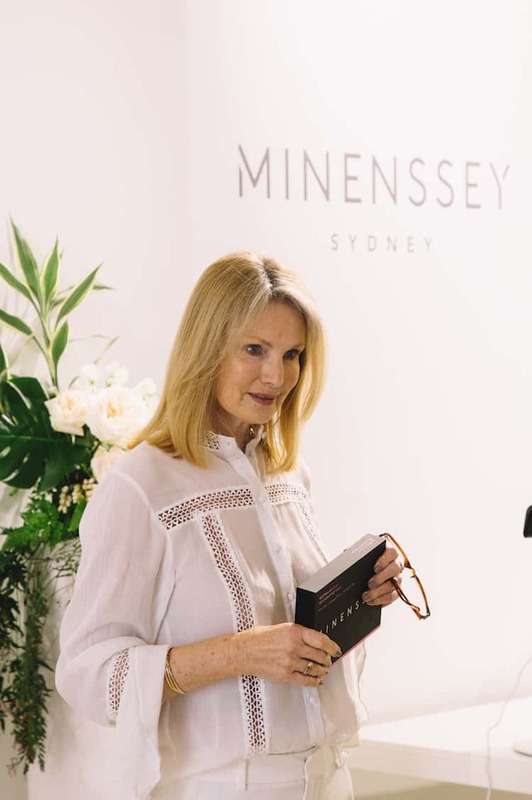 The idea behind Minenssey is quite genius – sleek boxes containing nine single-use pots for every concern: brightening, hydrating, deep cleansing and rejuvenating. They all utilise Australian clay which is a skincare superhero – absorbing oil, balancing PH levels, detoxifying the skin and giving mega watt glow. There are different types of clay for each concern that are employed alongside a host of other botanical ingredients such as flannel flower and kakadu plum. Cheryl greets me warmly and introduces me to the team from Flowerisa Skin Clinic who are co-hosting today’s treatment. Dressed head to toe in white with an immaculately blow-dry, she looks every bit the industry doyenne, and nowhere near the age she later claims to be (I’m still skeptical that she’s actually 66). Whatever she’s selling, I’ll take it. We sit down and Cheryl talks a little bit about her background in the beauty industry – she started out as a model and then moved into studying aromatherapy, which is where she fell in love with the scientific side of skincare. Cheryl wanted to create a range of highly active but natural masks because she truly believes they work. Instantly. And, although many women are time poor and don’t bother with them (I’m certain she’s directing this point at me) because they don’t think they work, they DO. So much so she’s willing to bet on it. She’s certainly confident, and I’m intrigued. My smiling therapist from Flowerisa, Sophia, beckons me to over to a bed. It’s time to put these babies to the test. After a satisfying cleanse and scrub, as per Cheryl’s instructions, Sophia applies two different masks to my face – employing a practice best known as ‘multi-masking’ where you apply different masks to different areas of the face to target individual concerns. In my case she paints the Brightening Mask in a v-under my eyes to combat my sleep deprivation, and the Hydrating Mask over the rest of the face – in preparation for my impending flight. Cheryl says she always amps up her masking in preparation for and post a flight. 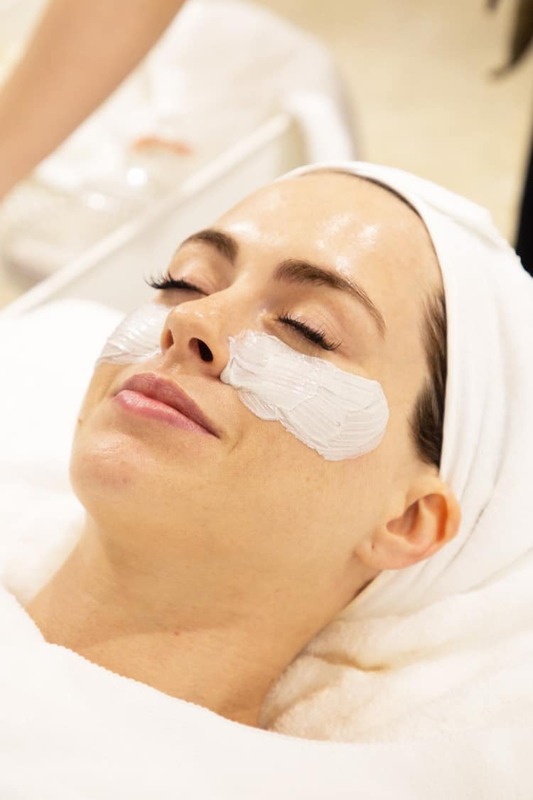 She’ll do one the night before and the morning before she takes off, then she’ll layer a serum under one during the flight and applies another when she lands – and she says this technique of using the serum under masks makes it even more effective. After a bliss-inducing ten minute hand and arm massage, Sophia removes my masks and applies a moisturiser. I can’t resist touching my skin and true to word, my face is incredibly bouncy… spongy almost to touch, like it’s been given a turbo-charged moisture shot. Which it has. I get up and admire my skin in the mirror. There’s no way I’m putting makeup over this. And I love that I can do it myself whenever the feeling takes me. Masks do give you that little bit of spa magic any old day of the week. I concur. 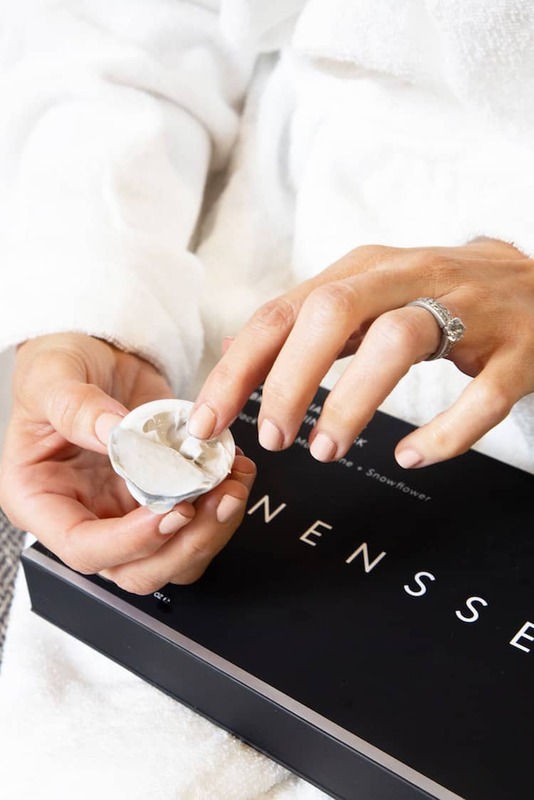 And just to be sure I take a little pot of the Minenssey Hydrating Mask with me on the flight and layer it over a hyaluronic serum to really dial up its effects. Upon landing in London and arriving at my girlfriend Josie’s house, one of her first comments was, “You look so… hydrated”. I kid you not. When – in the history of flying – has that ever happened to anyone? Let’s just say I’ll be making time for masks from now on. Story by Sigourney Cantelo, photography by Kira Céline. In association with Minenssey.